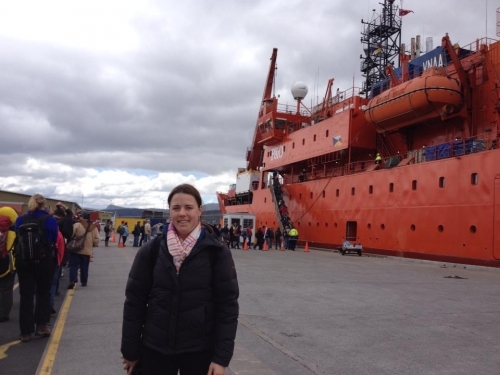 A little bit about his adventure down on the Aurora Australis (Australian icebreaker). We sail today leaving Hobart at 5.00pm to Davis Station Antarctica. The voyage is expected to take 2-3 weeks depending on the weather and ice thickness. Unfortunately we are not going to have a very smooth sailing, the weather forecast is for 9-12 metre swells for the first 4 days of the voyage. Added to that the ice in which we need to break through to get to Davis Station is the thickest this year that has every been measured on record. So hopefully Fred doesn't get too sick!!!!! I will only have very limited email access and not other internet access whilst I am on the ship and I will send through photos from the voyage once I have internet access on Davis Station.